Our prehistoric cave dwelling brethren were pretty primitive when it came to fashion. It really wasn't due to lack of taste though, they just didn't have that much to work with. The most exotic material an average caveman could probably hope for was a skunk pelt. As far as jewelry and ornaments were concerned, mining was still many millennia away so there were pretty much just shells and bones and maybe some pretty rocks to work with. There's only so much you can do with bones and rocks before it gets stale, so they had to improvise to stay ahead of the trends. If you want to pay homage to the greatest Neanderthal styles when you put together your caveman costume, this Bone Through Nose prop is a fashion essential! Fortunately, this accessory is plastic instead of real bone, so it's not nearly as gross. 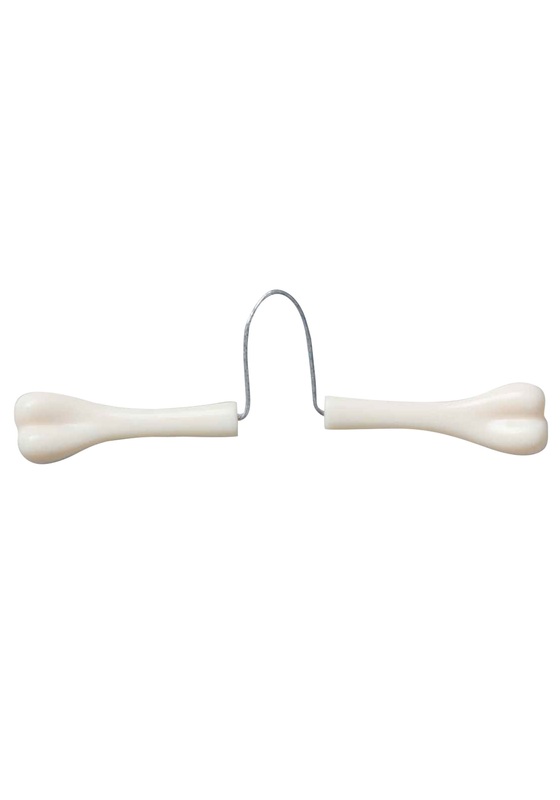 And since it secures to your nose with a flexible hook rather than being jammed through your bridge, it can quickly be removed or reattached, depending on if nose-bones are in this season or not!